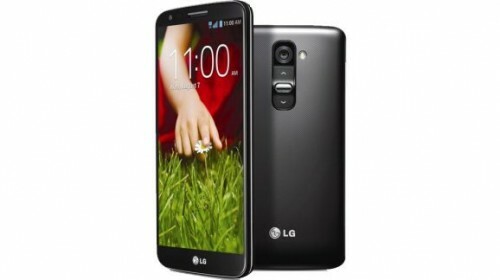 The LG G2 Mini was announced in February 2014 and expected to release in March. It will take a micro-sim card with an optional dual-sim feature. It will be released as a GSM device available in black, white, red and gold. You will have the typical features; wi-fi, bluetooth, NFC, portable hot spot, and an IR (infra-red) blaster. The IR blaster will allow you to control tvs, DVD players, hi-fi, and set top boxes. This device unlocked will work with any compatible carrier worldwide. The G2 Mini will feature a 4.7″ IPS LCD multi-point touch screen. The resoution itself will not be as vivid as the G2 but it gets the work done! It’ll also have a 8MP camera with LED flash, 1.3MP front facing camera and camcorder. The Mini will have a Qualcomm Snapdragon, 1.2 GHz, quad-core processor – not common in a mid-level Android device. It also has Adreno 305 and can handle intense gaming. Included is 8GB of internal memory which is expandable up to 64GB with a micro SD card, and a 1GB RAM. The G2 Mini will be released on Kit Kat 4.4.2 but no confirmation yet whether it’ll be upgradeable in the future. It will also have a new feature called Knockcode Security System. Instead of your typical pattern, pin, and password locks currently available on your Android device, this feature will let you create a pattern lock with 2-8 knocks. Although this pattern lock is not always responsive, and sometimes the knocks are delayed, it is still a secure way to lock your device. This phone will also have a textured backing for better grip and to prevent skids and slides. You’ll also get a Li-Ion 2400 mAh battery, but no word yet on how long this battery can last. Unlock Your LG Device Today!